The first game takes place on 30 December. 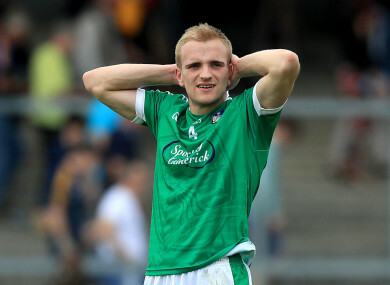 LIMERICK HAVE JOINED Kerry and Tipperary in pulling out of the upcoming McGrath Cup. The withdrawal of the Shannonsiders means just three teams – Cork, Clare and Waterford – will take part in the pre-season competition. Tipperary announced their decision to withdraw two weeks ago, with Liam Kearns explaining they wanted to focus fully on their league preparations in January. Once they recevied the scheduled dates for the competition, Kerry also decided not to participate. “We just felt our preparations would be better served by concentrating on training as opposed to the McGrath Cup,” said Kerry county board chairman Tim Murphy. Limerick made no official announcement of their withdrawal, but they were not included once the tournament format was announced today. The competing teams will play two games apiece in a round robin format before the top two teams contest the final. The opening game is between Clare and Waterford on 30 December. Email “Just 3 teams left in McGrath Cup as Limerick join Kerry and Tipperary in withdrawing”. Feedback on “Just 3 teams left in McGrath Cup as Limerick join Kerry and Tipperary in withdrawing”.